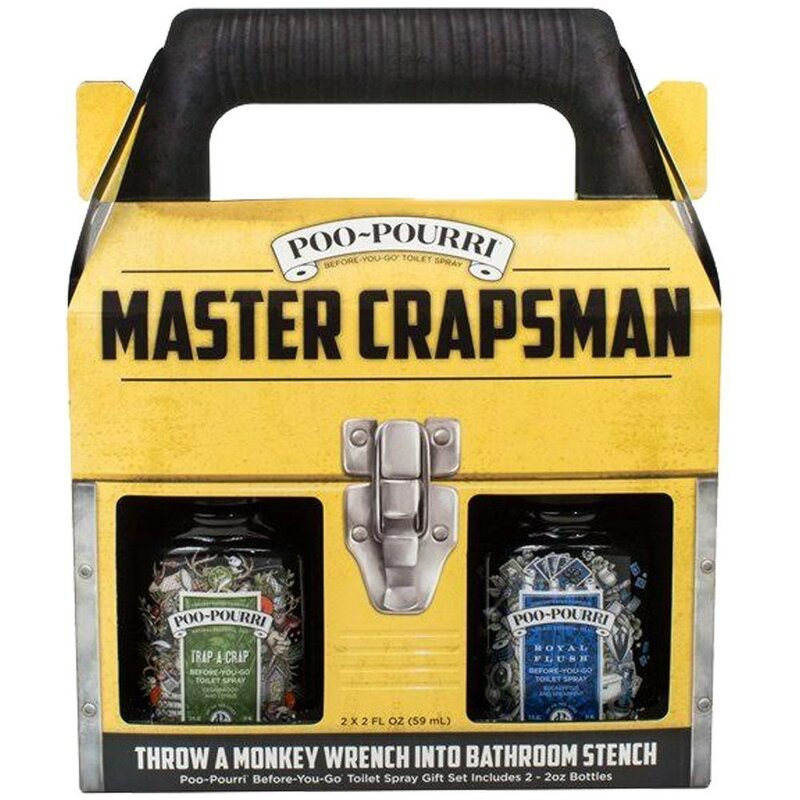 Poo-Pourri master crapsman gift set contains 2 - 2 oz. bottles tat are good up to 100 uses. It is made with Poo-Pourri's proprietary blend of natural essential oils that create a barrier to bathroom odors. Includes (1) bottle of trap-a-crap and (1) bottle of the royal flush spray.